Discussion: The Bold Type - Cheers to Female Friendships! This show follows three best friends - Jane, Kat, and Sutton, as they navigate their careers, love lives, and anything else that gets thrown at them. The most important thing in this show, is that they never have to deal with any of those things by themselves. Each of these woman have faced some big decisions, and I loved seeing them not have to explore all their options in isolation. These women support each other, and prop each other when necessary. They know each other so well, that they know when to lend a hand and when to retreat. It's so nice to see a strong female friendship take center stage on a show, which also highlights women's issues. I read more books, than I watch TV, so I want to share some books that also celebrate female friendships. What are some of your favorite fictional female friendships? 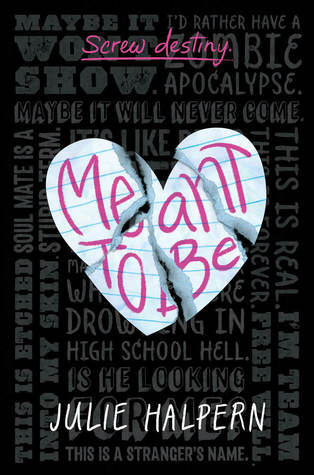 This week I can't wait for Meant to Be! 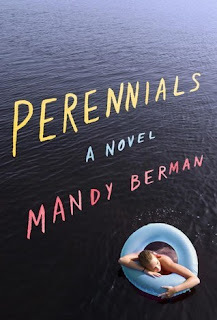 In a world where the names of MTBs—"meant to be" mates—appear on the body at age eighteen, a girl must decide whether to believe the phenomenon or follow her heart in this YA novel. I am also really interested in the character's struggle. Follow your head or your heart? Stay on the path put before you or blaze your own trail? Sounds like this could be a fun, cute, and interesting tale of self discovery. 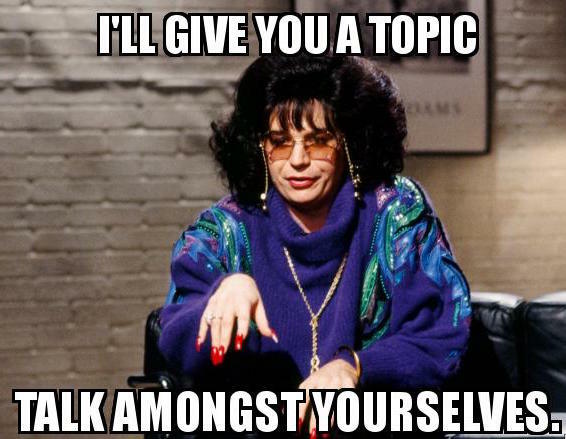 I am a hard-core contemporary reader, so I chose to stay in my wheelhouse in identifying those "gems" I have read. What made a book a hidden gem for me, is that I didn't recall hearing a lot about that book, and the book does not have a ton of reviews on GoodReads. We had done a hidden gems TTT back in January, and when I was conferring with Kiersten about this list, we found that we still think those books are gems. So, I may have a few repeats on this list. I am such a fan of this book! I loved the way Wiemer wove the lives of these people together, and how she slowly revealed how they were connected. The mixed format made each character's POV more unique, and I felt like it added an additional layer to the story. This was a beautiful story of seeking and needing connections to help us heal and move forward. This is another pre-blogging book, and when I looked at my GoodReads review, it was simply, "Nerdy Fun". It really was. I read this book back in Feb 2014, and I still remember it being hilarious. I loved the whole way George and Katie met, the way they interacted, the whole race to level up and win the prize. It was just a fast-paced tale filled with laughs and humor. I expected this to blow up, but I guess Garcia's fan lean more paranormal. I was interested because I am such a Caster Chronicles fan, and this being a contemporary romance fell right into my comfort zone. 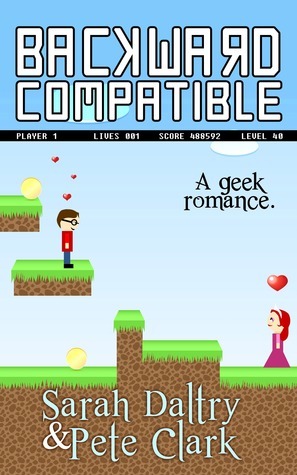 I whole-heartedly enjoyed this gritty teen romance that had a touch of mystery. 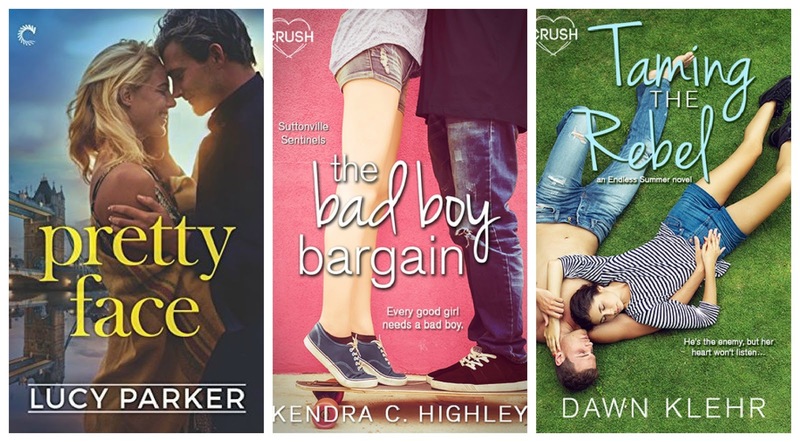 Speaking of gritty teen romances, McGarry owns that slot in my reading life. 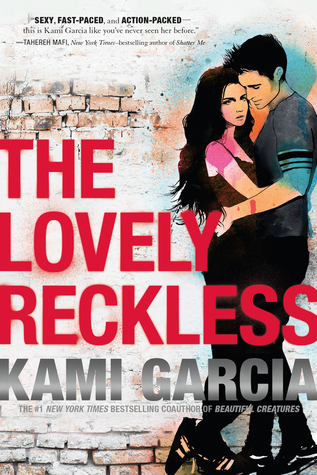 This series was not a huge departure from the Pushing the Limits series, but it did kick it up a notch by featuring teens, who belong to a motorcycle club. I have not read too many MC book, but I love McGarry and I was not disappointed. This is the last book in the series, so I was very invested in the characters lives at this point, but a big theme that carried throughout the series was family and loyalty, and those are two things I can totally get behind. This was my first King experience, and it was phenomenal. I think I fell in love with magical realism because of King. She used the magical elements brilliantly and they were very meaningful because of that. 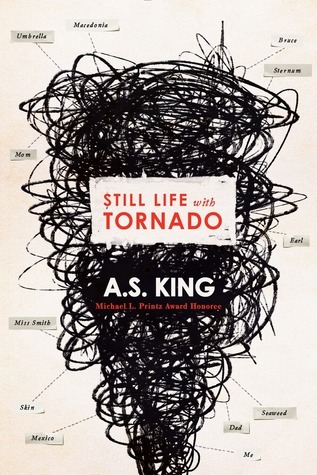 King is a masterful storyteller, and I love her style. 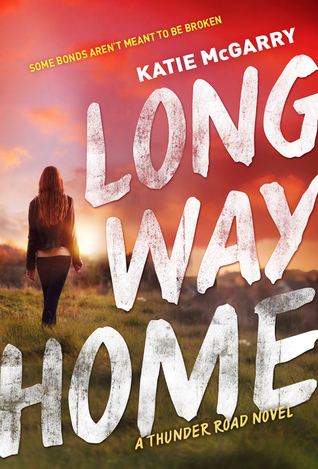 This one left my heart achy in a good way, and with me wanting to read more of King's books. Another favorite of mine. This one totally punched me right in the feels. I loved going on this healing journey, as Vic tried to decipher his father's request, and along the way, he reconstructed his parents' love story, found a new "family", and solved a murder. 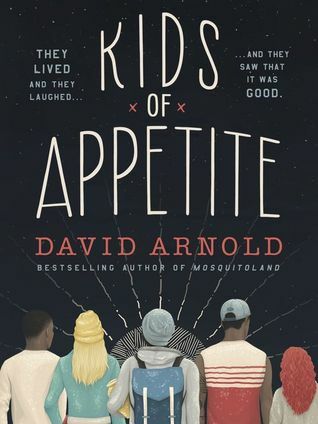 From my GoodReads review: "This book was so many adjectives: sweet, funny, tender, beautiful, sad, emotional, scary (just a little), quirky, interesting, thought provoking. ", and that is a decent snapshot of my feelings about this book. This book really touched my heart. It's a love story, a story of redemption, and a story of survival. It was so beautiful how these two people, who were both haunted by a violent past, found each other and helped each other work through their issues. I remember shedding a whole lotta tears during the beautiful epilogue, and they were the good kind. When Kiersten and I were discussing this list, we both agreed, that this book belonged here. We are always praising this book. Kiersten read it first, and told me I had to read it, and well, it was as good as she said it was. It wasn't just the heartbreaking story, but the way it was told. It's told as a series of interviews, through which the life of Stone is assembled for us. 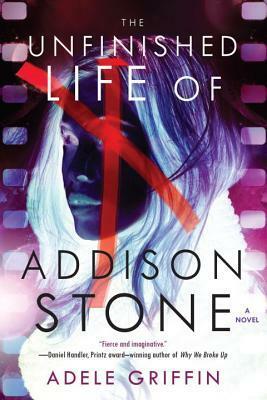 It seemed so real, we wanted to google Addison Stone, because we thought she was an actual person. Another one I added to the favorites shelf. This was one of my top 2016 reads. This book was so. Much. Fun! I enjoy books that use an alternate format, and this one is told as an "oral history". The interviews are interspersed with editorial comments from the MC, which had me laughing my face off. I am SO EXCITED to read the companion, The Date to Save, which comes out in September. Every time I see a new review for this book, I do a little happy dance, because it was quite a wonderful book. 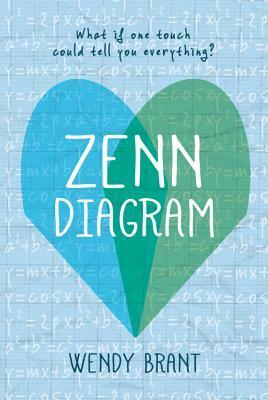 I loved the concept, I loved Eva, I loved Zenn, I loved their families, and I loved this book! It was fun, witty, touching. It was about love and family and forgiveness. It made my heart so happy, and Brant tied it all up with a beautiful epilogue that left me wiping some tears out of my eyes. What are some of you favorite hidden gems? 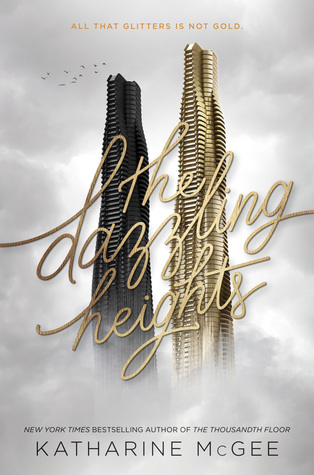 The Dazzling Heights brought us back to the future! McGee immediately set the stage for another suspenseful read, by opening with another body, and I spent the whole book trying to figure out who it was. I loved my second go-round with the inhabitants of the Tower, as they tried to keep what happened on the roof under wraps. Leda, Rylin, Watt, and Avery were all still dealing with Eris' death while they are also dealing with their own personal problems. It was interesting to see how the shared secret changed the dynamic between these four, and I have to say, I was really please and surprised by how it affected them. Most of the characters experienced positive growth. They seized new opportunities, they changed their lifestyle, they mended fences, and they fell in love. McGee gave me a fantastic pairing, as well as some hope of a reconciliation for another pair. So, the romance lover in me was quite pleased. I also thought we got to know the characters better. They shared a lot more with us in this book. Now I know more about what some of these characters hoped for in the future, how they felt about their pasts, and what they feared. I think developing the characters further was important, as we switched between the multiple POVs, and by doing this, McGee made them distinct for me. I gather from the introduction of a new character, Calliope, and how her story ended, that there will be another book, which made me really happy. 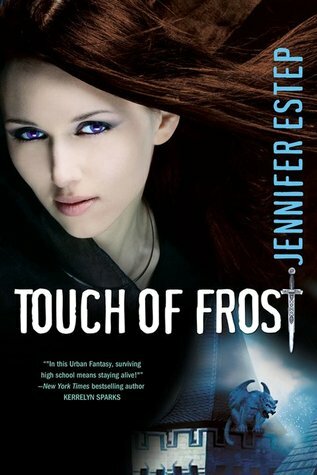 I love this book for what it is: a delicious, soapy, futuristic teen drama. Being a lover of all things CW, this was right up my alley. We had lies, deceit, and cut-throat antics, but with a futuristic twist. What is something you expect to find in the future? Last week, I was kind of whining about having a meeting during the eclipse. Well, the boss really is a great guy, and he rescheduled the meeting to Wednesday, but I still missed it. One of my co-workers said she would text me if you could see anything (I was really busy at the peak hour), but then she just came back and told me to go check it out. By the time I got there, it was over. I did think it was pretty cool to see so many people flooding the campus plaza with their UPS box/cereal box viewers. 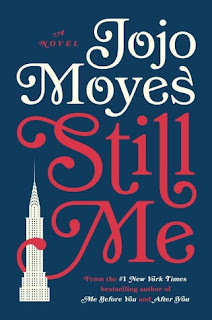 I know the first book was problematic for some people, but I loved Me Before You, and am really excited for more Lou in Still Me. Monday: I participated in a book blitz for Angie Stanton's new adult book - If Ever. Tuesday: For back to school, I compiled a Top Ten Tuesday list of some of my favorite boarding school books. I loved that some were new to many of my commenters too. 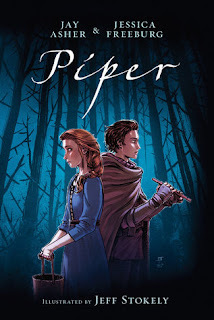 Wednesday: My Can't-Wait Wednesday was a graphic novel and Pied Piper retelling from Jay Asher - Piper. Thursday: I shared my review for a new favorite, Dress Codes for Small Towns by Courtney C. Stevens. 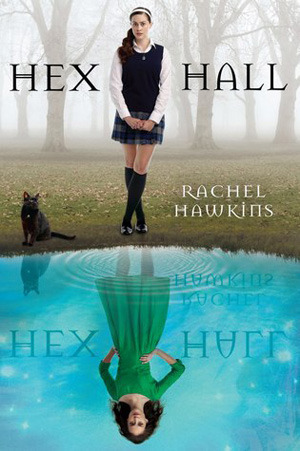 Friday: I talked about incongruous covers in my Cover Lies discussion. My New Crush Gave to Me by Shani Petroff - this was a recent Can't Wait Wednesday pick, so I was pretty much over the moon when I got approved. Now a Major Motion Picture by Cori McCarthy - this is such an early ARC there is not even a cover on GR. I was really excited to see if ready for download on EW, so you know, had to download it. 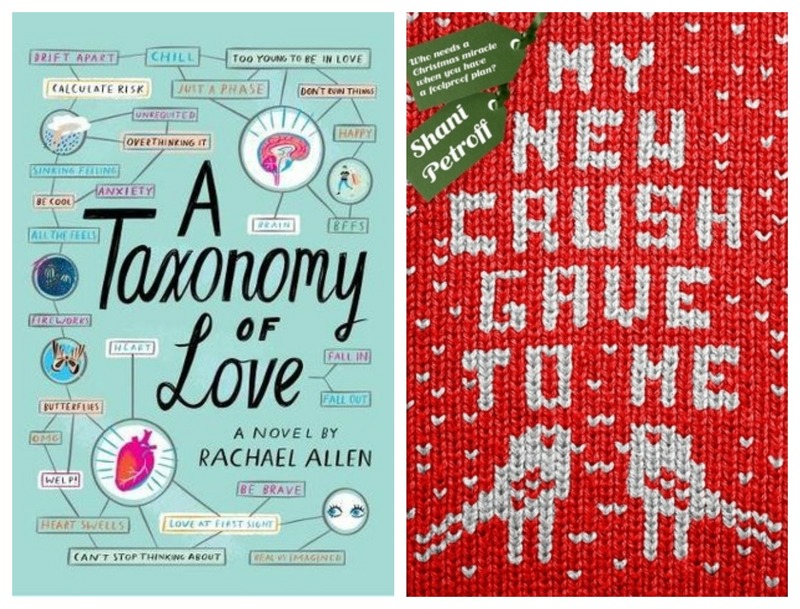 A Taxonomy of Love by Rachel Allen - I had added this to my TBR a while back, seriously, look at that cover, and couldn't resist requesting it when I saw it hit NG. Wonder reduced me to a puddle of tears, and Palacio did it again with The Julian Chapter. I guess she wanted to soften the blow of the villain label he earned, which didn't really work for me, but his Grandmère had me weeping, when she shared a very personal story about a boy, who she had not treated well because he was different. It was a very meaningful and lovely way to share that with school aged children. I will say, overall, I had a really good reading week. 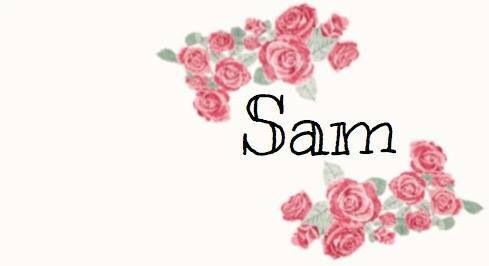 I spoiled myself with lots of romances, which always make me happy. I am almost finished with Starcrossed, which is meeting a requirement on three different reading challenges and is also a shelf-love book. I used to read a ton of paranormal, so this is bringing me back into some old territory, and I enjoying it. I am listening to White-Hot Hack, and it didn't take long for me to remember how much I love Ian. 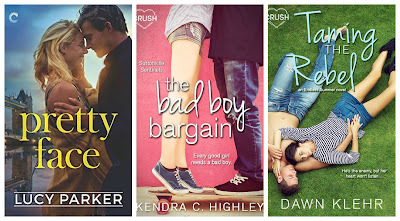 Three of my TBR books this week are for The Reading Quest, which I am determined to complete. So much pressure, since it is only a month long, and I have such focus and commitment issues with my reading. I expect a light on the drama, HEA romance. I am happy to say, all three of these delivered that to me. I was deceived - cover lies! 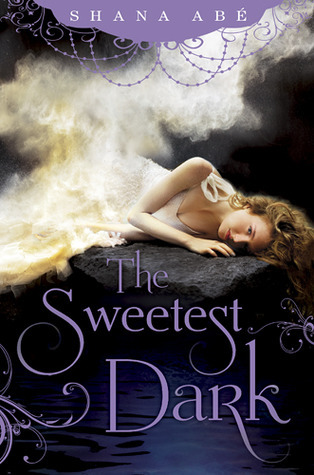 I saw this cover, and thought, "Cute. Bright sun, Chinese food, palm trees. This should be pretty fun." I knew this was a break-up story, but I thought maybe it could have been humorous. I mean, look at the cover? 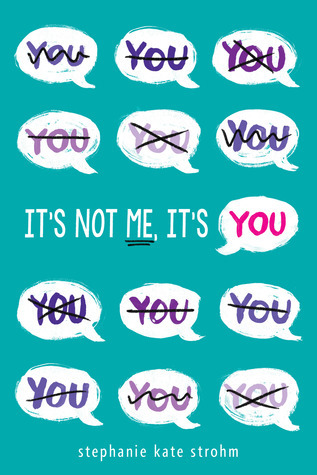 This book was not bad, but it was not a "me" book. It was dark and it left me feeling sad. I know there are people who love these types of stories, but if you have visited this site at all, you would know I am NOT one of those people. I felt like this cover lied to me. I looked at this cover, and immediately thought, "summer, lazy days, camp, fun". Nope. This book was actually a really interesting character study. I liked it, but again, it was sad, and it had a sad ending that was not even hopeful. Just not what I expected. Have you ever been deceived by a cover? This was such a special book. I felt a wonderful range of emotions as I read this book, and I felt so many more feels than I expected. 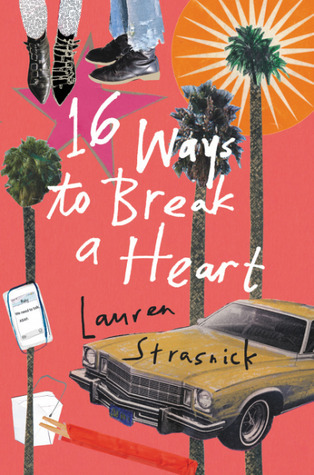 This book started off with a prank gone wrong, and then a great loss. So I was laughing and then totally subdued right away, and that roller coaster of emotions continued throughout. There were highs and lows, I laughed and cried, and I sort of loved every second of it. A really special part of this book was the Hexagon, that's what Billie called her group of friends. They were an interesting and diverse group with a fabulous dynamic. I loved when all six interacted together, but I also liked when Billie interacted with the members one-on-one. The most stellar interactions for me, were between Billie and Davey. Davey was the newest member of the Hexagon, and he had his own baggage to deal with, but when he finally started opening up to Billie, we got to see what a beautiful human he was. He had so much depth and just won my heart. He was supportive and selfless. He ignored his own desires and encouraged Billie to follow her heart and take time to figure herself out. He was a sweet, precious marshmallow. "The year I was seventeen, I have five best friends - a pixie, a president, a pretender, a puker, and a douchebag - and I was in love with them all for different reasons." "Billie McCaffrey, born 1999 - d. never. IN LOVING MEMORY: She can't be contained." I adored Otters Holt. Stevens constructed such a quaint little town. She revealed its physical beauty to us, as well as the colorful characters who inhabited the town. We learned of the town's history and traditions, and I can admit to loving it. 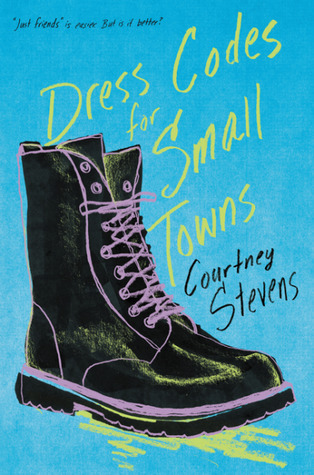 As with anything that seems too good to be true, the town had some negative qualities too, and Stevens did not shy away from them. I loved learning about Otters Holt, because understanding where Billie was from helped me understand her better. 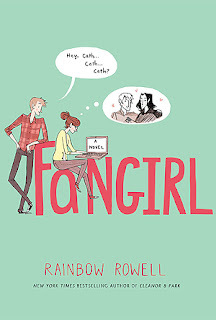 A big part of this book, is Billie struggling with her identity, with sexuality playing a big role. I felt the topic was approached from all sides and it felt really honest to me. I have to admit, I feel like we put too many labels on things and people, and I found it refreshing that Billie was left without one. I constantly question the need to do so, and I was sort of thrilled with the way Stevens left that. No boxes, no labels, just Billie. I think I might actually love that. So, if you know me, you may be able to guess why 4.5 and not 5 stars - the ending. We were lucky to get an epilogue, but I needed more closure than it provided. It's just who I am, a totally needy reader. It didn't not diminish the overall wonderful feeling I had when I finished this book, because my heart was quite full. However, my head wanted a few answers, and though I think I understand why Stevens made that choice, I still wanted more. "Death can muddle beliefs and raise questions, but it makes love crystal clear." "We carry it. It carries us. The real weight is carrying each other." "Here, Davey's a watercolor with smeared edges and paint running down the page. Loose. At home, he's a pencil drawing. I like this Davey better." "Jealousy might be a shallow well, but I bend my face to it all the same and take a drink." "Brother Scott taught me that even if people are boxes, they are boxes on a Rubik's Cube that shift. One turn, one conversation, one thought - all shift the cube." "Mom and I, well, we exist in much more incorporeal space. I don't measure her love in hours spent with me. I measure it in hours spent understanding me. " "Most people want puddles to splash around in; Thom wants souls where scuba diving is encouraged." "And at the end of it, I am a dandelion, and Davey is a gale-force wind. He scatters me everywhere." 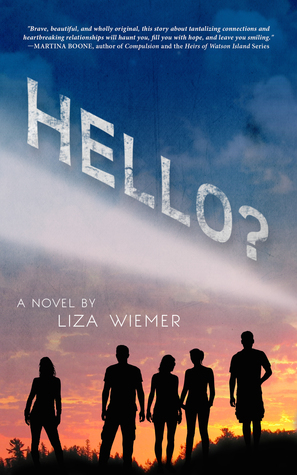 Overall: a wonderful and heartfelt tale of finding one's identity. It's a story of friendship and love, devotion and dedication. I laughed, I cried, I even swooned a few times. A throughly satisfying reading experience. 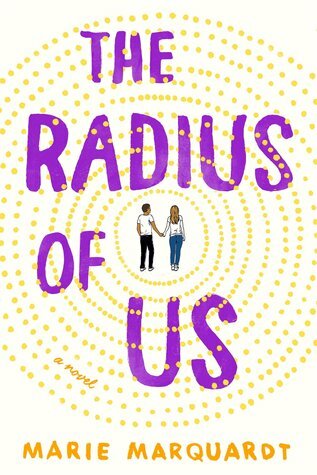 Bonus: This book was featured in this article, "Changing Notions of Faith and Spirituality in LGBTQ YA", which I really found interesting. Does your hometown have any traditions? 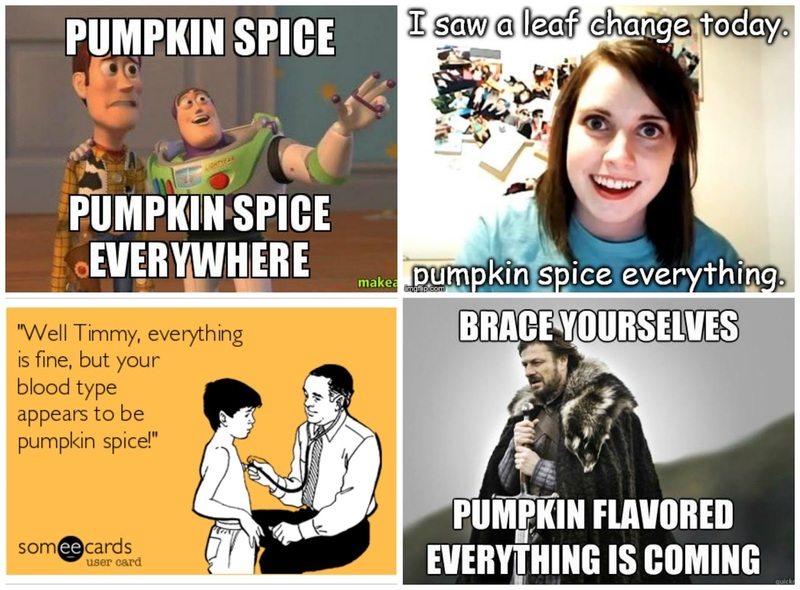 This week I can't wait for Piper! 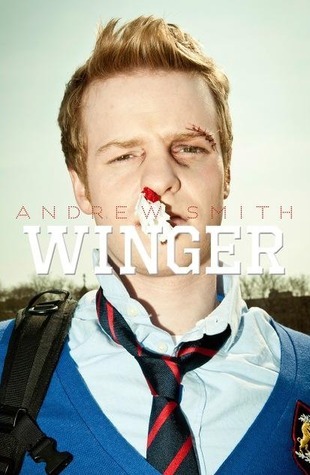 First and foremost, let us admire the cover. Isn't it lovely? Now, why do I want to read this book? This book came to my attention because Jay Asher was involved with it. I had read and enjoyed two of his previous books, and therefore, wanted to read his new book. Books Set in Boarding Schools! 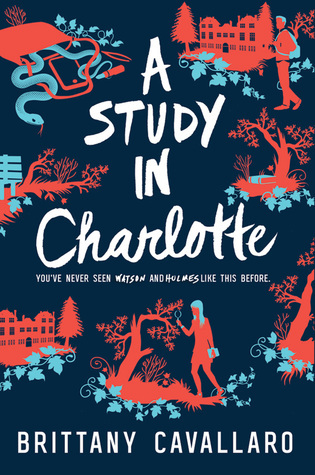 Not too long ago, I posted a Can't Wait Wednesday pick, and I discovered that I am not the only one who loves a boarding school setting. 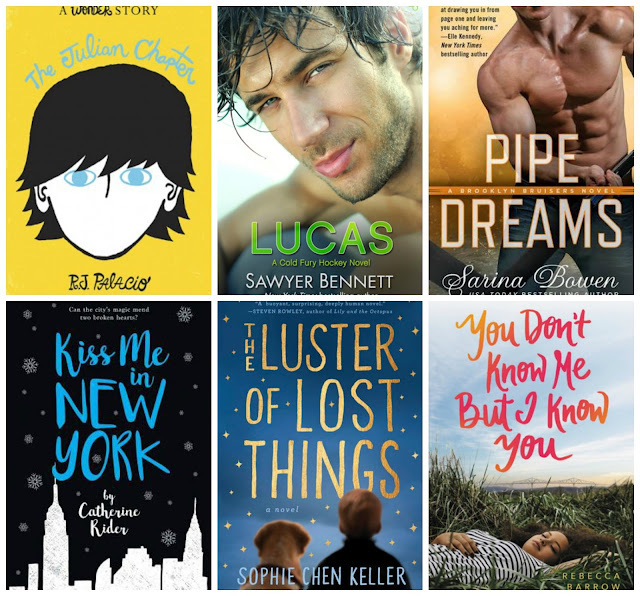 So, here are ten books I enjoyed, which were set in boarding schools. 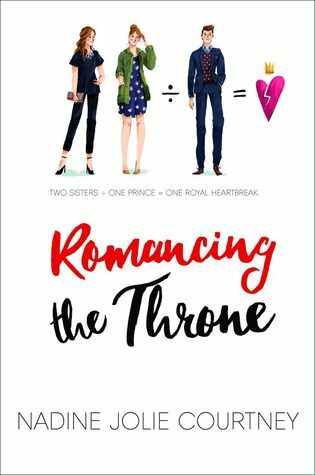 Romancing the Throne has the added fun of the boarding school being abroad, in England, and one of the residents being the heir to the Throne. This school is billed as "a boarding school for rich kids in the Pacific Northwest". With that we get some lovely scenery along with lots of the typical hijinks we expect. 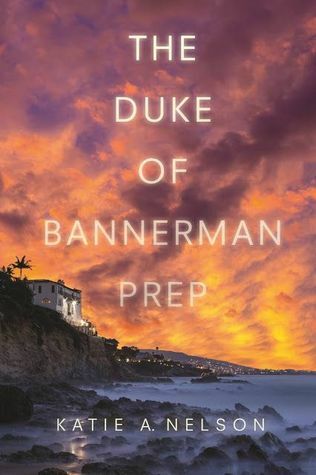 This story takes place in an elite boarding school in California where debate is king. Many school rules are bent and broken by this crew and there is even a sort of heist. Billed as a "reform school for wayward Prodigium". I loved roaming the halls of this old house along with witches, ghosts, faeries, shapeshifters, and ghosts. Deep in Letum Wood is a school where young witches hone their skills. 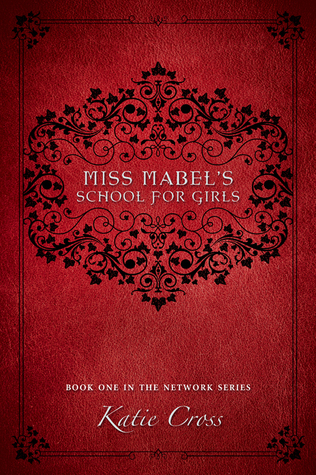 These young witches are pitted against each other as they vie to be the lone student of Miss Mable. This boarding school is in a gothic castle on southern coast of England. Abe often describes the beautiful backdrop, and the views sound quite breathtaking. 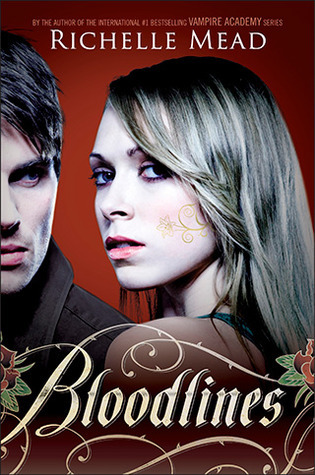 In Bloodlines, we are travel to a human boarding school in California, where all our MCs must carry on the rouse that they are related. I was torn between selecting this one of Vampire Academy, since both take place in boarding schools, but I went with this series, because I liked it better. 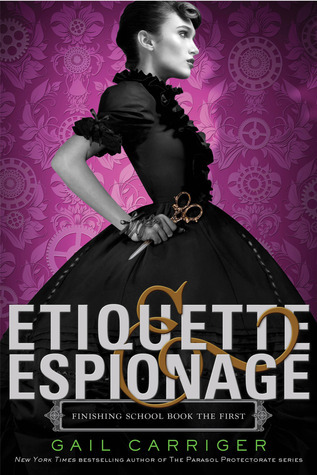 Mademoiselle Geraldine's is a finishing school, where young ladies are schooled in all the traditional areas such as dance, etiquette, and dress, but they also learn the tools to be great spies. Here we find ourselves in a Connecticut prep school, which is depicted in the most traditional way - old and filled with antiques. This school primarily caters to the uppercrust and it serves as an appropriate backdrop for this tale. This is a campus I would love to see, as it is home to magical warriors. One can visit many magical artifacts in the Library of Antiquities or simply watch the various students wield their weapons. 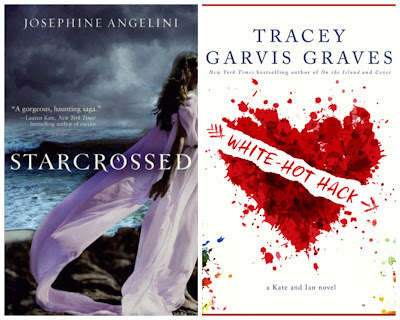 Boarding school books - yay or nay? Do you have a favorite? Discussion: Teen Wolf - Isn't It Bromantic? Discussion: Do You Believe in Second Chances?